Color schemes are a great analytical and visualization tool which can be used in floor plan, section and elevation views. Sadly, this functionality has been left out of reflected ceiling plan views. So how do you go about creating a colored ceiling plan? There are a few of options at your disposal and each has its downfalls. Create a floor plan view and turn off everything except rooms, then apply your color scheme. Create a reflected ceiling plan view and set ceilings to 100% transparent. Finally, overlay these views on a sheet. The main drawback with this solution is that you are unable to work in a composite colored RCP view since the final result only exists on a sheet. Activating the RCP view and editing directly on the sheet results in the other view appearing half-toned, so it’s still not a perfect solution. …and uncheck the halftone option for Underlays. The result is similar to A) above, but now you can work directly in the colored view since there is no required compositing of views on sheets. The main drawback with this solution is that you are not truly seeing an RCP view, so some features that occur above the cut plane might not show up properly or not at all. For example take a look at the door: the frame should show up at the head in a true RCP view such as in A) above, and is thus incorrectly represented in this “hacked RCP”. Please also note however that Revit represents cut families based on the representation stored in the family itself, so you have to be very careful with object representation even in a regular RCP view (ex: the window has an extended sill, yet that sill shows up incorrectly in RCP views too). As with all workarounds, there are no perfect solutions, so make sure you understand all the issues before choosing the option that works best for your project. Hopefully the Factory will eventually enable Color Schemes for Reflected Ceiling Plans as well! Last year, one of our jurors – AEC industry analyst, Dr. Lachmi Khemlani – published a highly detailed article about the internal competition. The HOK BIM Award trophy is a 3D print representing a concept design for one of our tower projects. The trophy and case were created by Ideate and donated to our innovative annual program. This year 20 entries were received from 19 different project teams (one entered in multiple categories) and from 7 different offices. The mix of project types was also quite diverse: 4 - Commercial, 2 - Aviation & Transportation, 6 - Healthcare, 1 - Interiors, 2 - Justice, 1 - Retail and 1 – Urban City Center. From the 20 overall entries, the firm-wide buildingSMART team selected three finalists in three different categories. The finalist teams then presented their projects to a panel of industry experts who then deliberated and selected one winner per category. Our guest jury for the 2012 BIMies included a fantastic mix of industry experts from construction, engineering, education, software, and research. Because no projects were submitted in the Visualization category this year, the BIMie trophy will remain in Chicago until another winning project is selected in the 2013 BIM Awards. Congratulations! Thank you to all who participated in this year's awards. Every project submitted was worthy of recognition and once again, our guest jury had a difficult time selecting only one winner in each category! Could this be a game changer for web-based access to program AND model geometry for large projects? dRofus has released a new beta version of their popular integrated program management platform that includes an embedded model server from Jotne EPM. This new integration allows project teams to upload multiple models into dRofus for simultaneous visualization of program data and model geometry. Users do not need to have a separate modeling software to view 3D information! This new technology is being offered to all project and enterprise customers at NO ADDITIONAL COST! You can download a presentation about the new technology here. 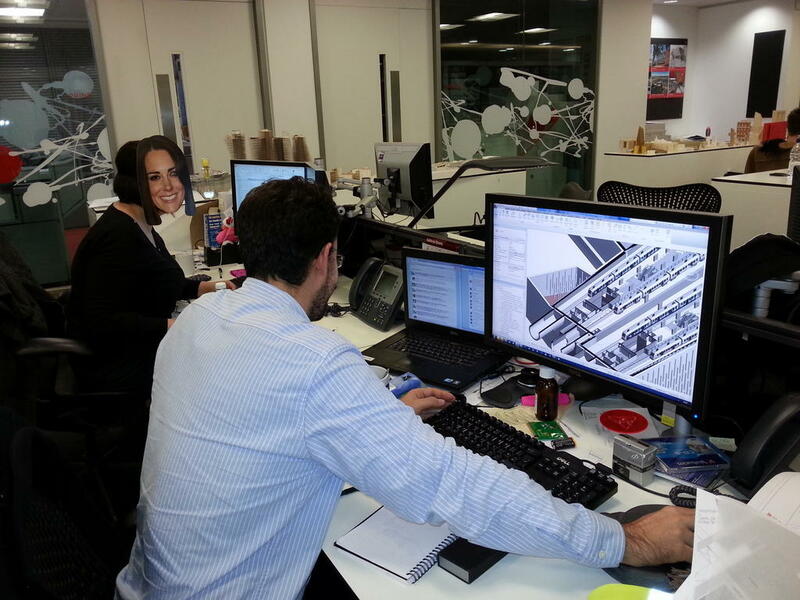 dRofus with model server will be presented at Autodesk University and Ecobuild later in 2012. The US Army Corps of Engineers has recently released their Minimum Modeling Matrix or "M3" - available at cadbim.usace.army.mil. This document is a spreadsheet that contains three worksheets: Instructions, Modeling Requirements, and Scope-LOD-Grade. Referring to a post on All Things BIM ("Moving Forward With LOD"), the USACE M3 document utilizes the AIA LOD definitions and classifies the built environment with a minimum level of required information from design and construction teams. They did a nice job in categorizing the built environment their own way and then including references to Omniclass, Uniformat, AND MasterFormat. You can even filter the Scope-LOD-Grade worksheet in column A to show different level of specificity (as in Uniformat, Level 1, 2, 3 and 4). When you put the LOD together with Grade, you get an interesting interpretation of the original level of development scheme. Record Model - Design model that has been updated with any recorded changes (usually via RFI or Change Order) during the construction process. The model is NOT updated with in-field conditions. This seems pretty straight-forward for geometry - much different when you're talking about data. As-Built - Design model OR fabrication model that has been updated according to installed conditions. Again, if we're talking about data, that usually means serial numbers and other detailed information that would not be part of the design model. At an Autodesk University panel presentation, the team from USACE clearly explained that they see the Record Model and the As-Built Model as THE SAME THING. Notice in the image above that the column heading is "RECORD MODEL (AS-BUILTS)." Remember this if you are working or will be working on a USACE project in the near future. 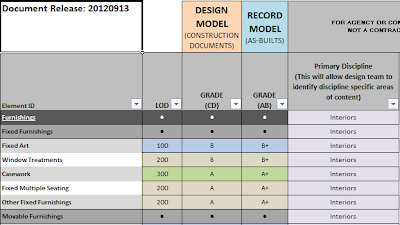 The CAD/BIM team at USACE has also created a worksheet for "Modeling Requirements" that lists a very broad statement for each major building system - organized to Uniformat Level 2 specifications. This presents a potential 'scope-creep' situation for design teams in that the Modeling Requirements do not describe different levels of modeling specificity. This type of modeling specification is being examined by the LOD Specification Workgroup of the AGC and AIA mentioned in the All Things BIM article above. "All Fire Protection elements including all piping, valves, and seismic bracing shall be modeled with necessary intelligence to produce plans, elevations, building/wall sections, riser diagrams, and schedules where applicable." At a more generic level of development (200), an engineer would likely not include valves and seismic bracing; therefore, where do these requirements apply? Overall, I applaud the USACE CAD/BIM team for their effort to point the AEC drivers in the general direction of travel - considering the AIA E202 was merely a road map. I hope they can refine their approach over time to allow greater clarity in a more simplified approach towards establishing minimum modeling standards. It will be quite exciting to hear about some project case studies as teams work with the USACE in the near future. As Summer 2012 draws to a close, two interesting releases that are quite relevant to our buildingSMART efforts. First, the American Institute of Architects (AIA) has released updated versions of their "digital practice documents" for public comment. These documents represent an evolution of the E202 BIM Protocol Exhibit into a more complete project execution plan. You can visit www.aia.org/digitaldocs to download the documents for review or read the press release here: http://www.aia.org/press/releases/AIAB095748. The comment period for the AIA documents will close on October 8, 2012 (extended from the original September 24 deadline). If you've been in the BIM manager's seat for long enough, you might have seen this support request come across your desk a few times. In Revit, it's quite a convincing shock to open a project file and find nothing but annotation, but don't fret...the problem is most often just a workset visibility issue. With the Specify setting, you can select all the User-Created worksets and set their Opened status to No (select them all in the list, then click Close). This is good for performance, but obviously not good if you actually need to see some of the model components as you work! Back to our story...this user synchronized with central and then another user began to perform some work. Now, this scenario should not affect anyone who is currently working in the same project model, but I presume it may be related to the script file our project teams use to automatically create new local copies. If user #1 had synchronized with all worksets closed, and then user #2 created a new local copy of the model and opened the model with the default workset option (Last Viewed), they might have all User-Created worksets turned off without the benefit of the Opening Worksets dialog box to indicate what is open or closed. What's the moral of this story? 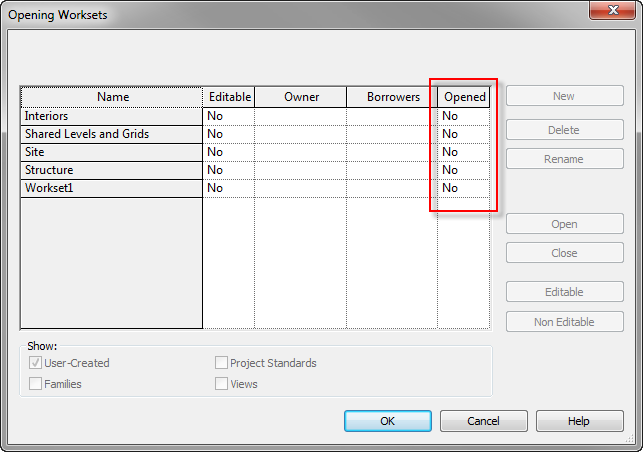 We strongly recommend using the Specify option EVERY time you open a local copy of a project model. 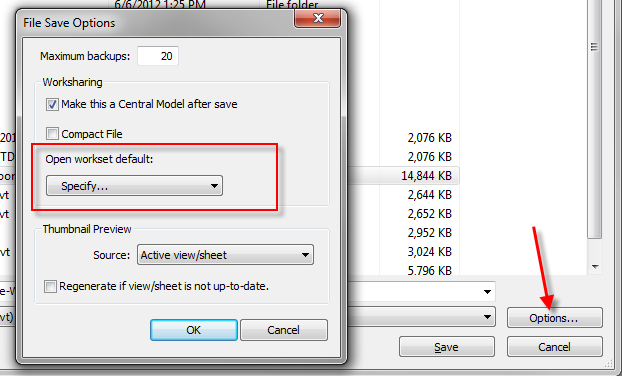 Remember you can also set the default action for opening when you first create a central file. 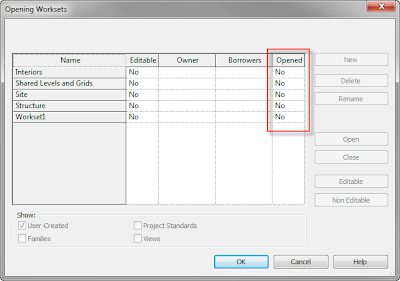 Click on Options, and set the Open Workset Default to Specify as shown below. You can also check out one of our previous posts with other valuable tips on finding hidden elements. The biggest challenge was the general coordination of the site as we decided to split each building into separate worksetted models & then link these into a site model. On the whole this was the easiest way to manage the large dataset that was created. But we also had to create a lot of project specific families. I lost count how many different panel & curtain panels I created! The new school itself will draw its vision, ethos and pedagogy from the mother school, Marlborough College in Wiltshire, England, one of the leading independent schools in the United Kingdom and is planned as a ‘best in class’ school for both Malaysian and International students. It will provide spaces for a maximum of 915 pupils aged 11 to 18 and teach to the International Baccalaureate. Boarding spaces for 2 thirds of the pupils and staff will be provided on site providing a total learning and living environment. A separate Preparatory day school will also be built on the site. If you are interested, be sure to check out the site progress photos. Some of the newer laptops that are coming through often have a feature called Optimus technology enabled. More details can be found here on what Optimus technology is. Whilst this is great technology, it can play havoc with your design software, often using the wrong card to driver the software. So what can you do to ensure that your software is using the better graphics card in your laptop? Whilst you could use the drivers to manage the software, often the results are not what you expect. Therefore, you need to boot into the bios and turn off the Optimus technology feature; this will disable the Intel card and force the Nvidia card to be used instead. The Optimus technology acts as a switch between the 2 video cards. One screen would use Intel and the other Nvidia. When the laptop is not docked in a docking station, the Intel card is the preferred card to save on power consumption. Unfortunately, we don’t care about the power savings and want Revit to perform. Disabling the Optimus switching mechanism forces the computer to use the Nvidia card in all hardware profiles. It’d be nice if Optimus could auto-negotiate which card to use based on the power needs, but sadly is doesn’t. Once you have disabled the Optimus technology you will need to do a couple of restarts to get windows to reinstall the Nvidia drivers. It should be noted that not all of laptops have these dual card installed, but where you do have them, disabling Optimus, without doubt helps. 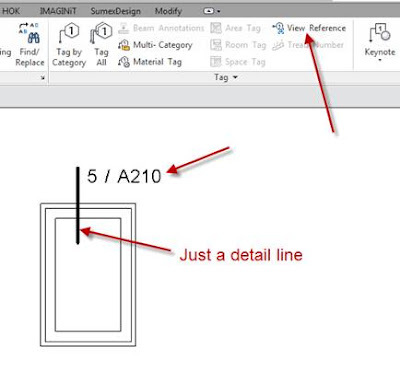 Why Windows in Revit Don’t Cut it. Brok Howard, BIM manager for our St Louis office gives some advice on why windows don’t cut. We ran into an issue last week where a window family was not cutting in plan as would be expected. For example purposes I will demonstrate what was happening and why this might happen with your window content. 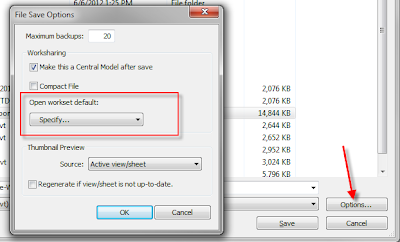 I will use the out of the box content that ships with Revit if you want to follow along. It also starts to address how this might be useful for some instances. In the example below we have three windows, each at different sill heights. The first one cuts as expected, the second is going through the sill and the third is above the cut plane of the view. The view is set to 4’-0” and in the elevation above I am showing where this is cut in the view. Again, this would be as expected. If we move the cut plane in the view up, so it only cuts the second two windows, we no longer see the window below in plan. No, for the interesting part of how windows work. The assumption we have made so far is that when you move the view range cut plan that is what is changing the way the window is being cut. Let’s investigate this further by opening up this family. Opening the family and then looking at the Floor Line view shows us this. Notice on the Properties pallet we do not see any information about a cut plane. Now click where the Family:Windows drop down menu in the this section and change it to Floor Plan:Floor Line, now you are seeing the view propery settings. Now click on View Range. You will find that the default Cut Plane for this view is set to 4’-0”, same as the model. Let’s now change this to 7’-0”. The other thing we are going to change is we are going to remove the symbolic lines in the family so we are seeing the real solid geometry. And finally we are going change the default sill height to 6’-0”. You should end up with something that looks like this. When we load this new family into the project we end up losing the second windows in plan. This is due to the fact that the symbolic lines were really what was being represented in plan, not the window. What we are seeing is the opening from the family. Now, we will go back to the family and change the geometry to now show in plan by selecting them and changing the settings to show in plan. Now we are seeing the family in its true modeled elements. Note that now we are seeing the third window. Why are we able to see the window with the cut plane set to 4’-0”? Because windows are not really cutting. They use the internal cutplane in the family in combination with symbolic lines. But why is this? If you go to the Visibilty/Graphics Settings it clearly shows the option to cut them? Now we will change the cut plane in the model to match the cut plane of the one in the family. We see the geometry but not what you would think, now select one of the windows. All the detail is there, but we only see it as if it was not cutting. Now change the default sill height in the family back to 3’-0” and the cut plane back to 4’-0” and reload the family back into the project. Now change the floor plan view range back to 4’-0”. What you get is this. Until window families are really, truly cutable geometry this is what you will get. And if you have ever created window content from scratch, this will be important to keep in mind because you will need to make all your window geometry content not show in plan and not cutable, then use symbolic lines to make them show correct in plan. This is the farthest family from BIM that I have found so far, it would be good if Autodesk addresses issues like then rather than create workarounds. But at least now you are equipped with the WHY on windows.